Aluminium has inherent strength, durability and strong aesthetic values which makes it the discerning choice for replacement and quality performance windows and door solutions. Offering far more flexibility in design, this means oversized or unusually shaped windows are within easy reach of homeowners looking to use glazing in their homes as design landmarks. Aluminium windows are supplied in polyester powder coated finish in one of over 2300 colours. Polyester powder coating won’t discolour or rust giving long-lasting aesthetics which doesn’t need regular maintenance. 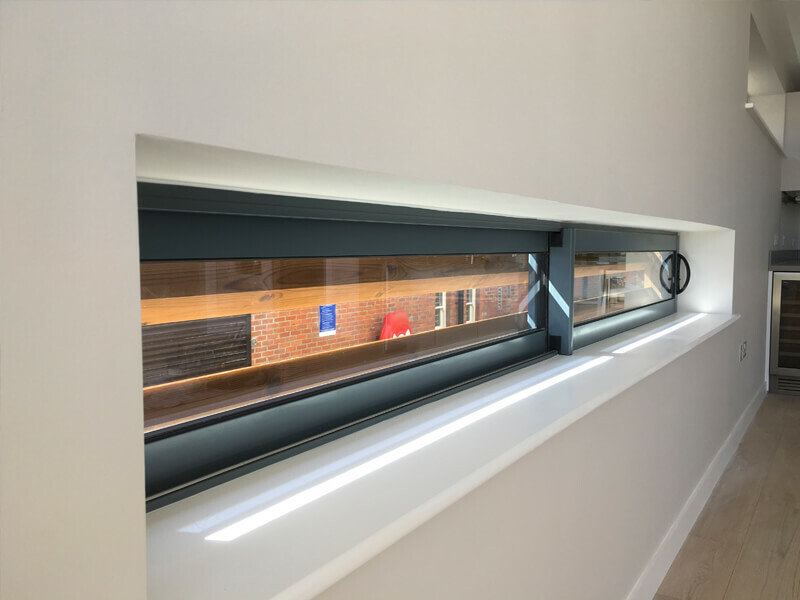 We can even produce windows in “dual colour” where the inside for the window is a different colour to the outside – this is useful if you are matching interior colours. 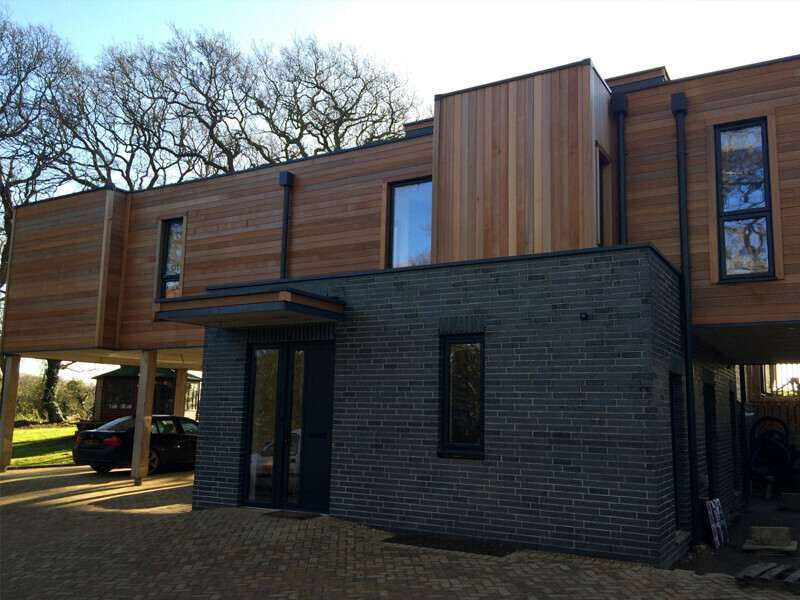 Modern aluminium windows incorporate a “thermal break”. This is a polyamide barrier which separates the inner and outer faces of the aluminium to prevent cold (or heat) transfer. The aluminium frame sections are manufactured in two halves, designed to fit together perfectly in the final product. The polyamide thermal break is mechanically joined to the frame sections to maintain the frame’s stiffness and rigidity. The polyamide has strength and expansion qualities very similar to aluminium. Another advantage each half of the frame can now be painted separately and then easily joined either side of the thermal break, so dual colour options are much easier and more cost-effective.